March is here with us. And below is some of the headlines that a traveller will find interesting. If you are Kenyan, you can travel to Uganda or Rwanda using your national identity card as a travel document at the airport or at the border. Kenya, Uganda and Rwanda yesterday presented their joint single tourist visa to the world during the concluded International Tourism Bourse (ITB) in Berlin, Germany. This will allow visitors to enter all three countries by paying $100 instead of $150 in total for a period of 90 days. In addition, tourism officials from Kenya and Tanzania have entered into a deal that will enable Tour Operators convey tourists to selected locations in either nation. This agreement is geared towards supporting the overall East African Community integration scheme and is expected to boost business between the two nations. Jambo Jet, a subsidiary of Kenya Airways will start operations on 1st April to offer one flight from Nairobi to Mombasa/Kisumu at Ksh 3,000. Kenyans travel to India will be required to produce an Oral polio vaccination certificate. India has eradicated the disease and officials and setting up measure to prevent reintroduction of the disease. On the conservation front, we have began to see Government effort in prosecution Ivory smugglers in the country. The punitive ruling would give a much-needed boost to wildlife protection efforts. We have a wide variety of Easter offers on our website. We have covered hotels in Naivasha, Nakuru, Mombasa and Dar es Salaam. Those who love the wild, we have affordable safari tours to Masai Mara, Amboseli and Tsavo. For inquiries and customer service call 0705 648 246 0705 648 246. PLAN YOUR TRIP TO RWANDA - It should be FUN! Rwanda is a small East African country, that draws visitors from all over the world, primarily to see its endangered mountain gorillas. Rwanda's horrendous genocide in 1994 has not been forgotten, the memorial museum in Kigali is a "must-see". On the surface (and highly encouraged by officials) Rwandans have decided to move on to better things, and it is a peaceful and safe destination for visitors. Rwanda's infrastructure is good; most of the roads are paved making it easy to get around. The country has banned plastic bags and it certainly has kept it cleaner, all the better to marvel at the stunning landscape of rolling hills and volcanoes. The capital Kigali is booming, with a friendly vibe, lots of new construction and a generally positive atmosphere. Alot of people doing a Kenya Safari find Rwanda a good place for safari extensions. 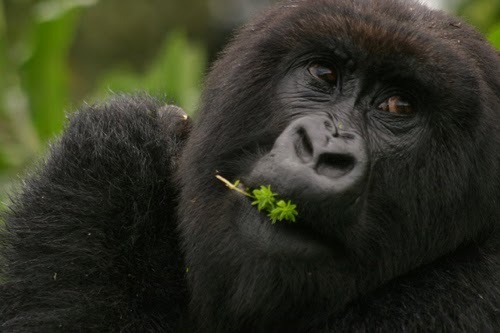 Rwanda safaris are capitalized with gorilla tracking near the Ugandan borders. Majority of Kenyan safari operators book their clients to Rwanda for gorilla tracking. Rwanda is in East/Central Africa, east of Democratic Republic of the Congo with Uganda to its north and Burundi to the south. Rwanda also shares its eastern border with Tanzania. Area: Rwanda covers 26,338 sq km, slightly smaller than Maryland, US. Population: Almost 10 million (Rwanda is Africa's most densely populated country). Climate: Rwanda has a temperate climate with two rainy seasons from February to April and November to January. Tracking Mountain Gorillas - Rwanda's tourist economy is centered around tracking mountain gorillas in the Park National Volcano and it is well worth the trip, add on extra days to see the golden monkeys and trek to Dian Fossey's grave/research site. Kigali - A safe, friendly capital city. Highlights include the Genocide Memorial Center, the fruit market, lunch at the Hotel Mille Collines (of Hotel Rwanda fame) and a ride on a motorbike taxi through town. Akagera National Park - see elephants, hippos and crocodiles in this attractive, recently rehabilitated, national park. Nyungwe National Park - home to 13 species of primate, this huge montane forest in southern Rwanda is where you can see chimps, Columbus monkeys as well as lots of birds. How do I get to Rwanda?? from the town center. 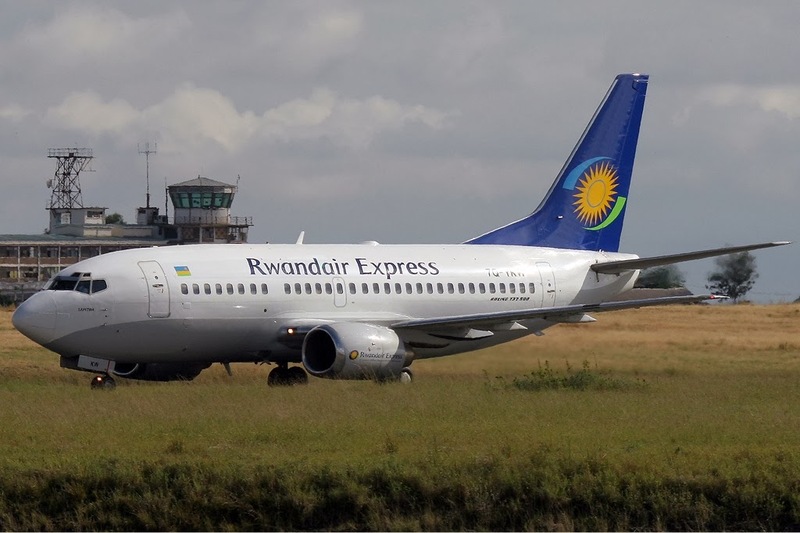 Airlines arriving here include: SN Brussels, Kenya Airways, Ethiopian Airlines, Air Burundi and RwandAir Express. Getting to Rwanda: Flying into Kigali's international airport is the easiest way to get to Rwanda. Daily buses travel between Nairobi - (Kenya) to Kampala (Uganda) and Kigali. You can catch a variety of minibus taxis to the Tanzanian border and travel onto Mwanza (Tanzania). The border to Burundi may be dangerous, but is easy to get to by minibus taxi. To get to the DRC travel via Gisenyi to Goma (DRC) by minibus taxi. We have alot of Kenya tourists trans-versing through Uganda to Rwanda for a safari tour. A valid passport and a tourist visa are required for many nationalities. Tourist visas are available at Rwandan embassies and consulates around the world. Rwanda has a rich history that you can only learn better while there. May be when you see with your own eyes. The Genocide that is the most memorable when you think of Rwanda, gives every human being a reason to strive for peace. The country is now stable and peaceful. Rwandas 90% of the population engages mainly in subsistence agriculture. The 1994 genocide decimated Rwanda's fragile economic base, severely impoverished the population, particularly women, and temporarily stalled the country's ability to attract private and external investment. However, Rwanda has made substantial progress in stabilizing and rehabilitating its economy to pre-1994 levels. Rwanda is currently a member of the East African Community and is aligning its budget, trade, and immigration policies with its regional partners. Working closely with countries like Kenya and Uganda she can only be better. Tourism is picking in Rwanda with alot of support coming from Uganda and Kenya Safari organizers.